More than likely your great-grandparents, grandparents and even your parents had a common dental experience: when one of their teeth developed a cavity, their dentist removed the decayed portion (and maybe a little more) through drilling and then filled the cavity. In other words, treatment was mainly reactive—fix the problem when it occurred, then fix it again if it reoccurred. You may have had similar experiences—but the chances are good your dentist’s approach is now quite different. 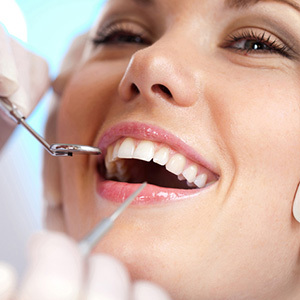 Today’s tooth decay treatment is much more proactive: address first the issues that cause tooth decay, and if it does occur treat it with an eye on preventing it in the future. This approach depends on maintaining equilibrium between two sets of competing factors that influence how your teeth may encounter tooth decay. This is known as the caries balance (caries being another name for tooth decay). On one side are factors that increase the risk of decay, known by the acronym BAD: Bad Bacteria that produce acid that dissolves the minerals in tooth enamel; Absence of Saliva, the body’s natural acid neutralizer; and Dietary Habits, especially foods with added sugars that feed bacteria, and acid that further weakens enamel. There are also factors that decrease the risk of tooth decay, known by the acronym SAFE: Saliva and Sealants, which focuses on methods to boost low salivary flow and cover chewing surfaces prone to decay with sealant materials; Antimicrobials, rinses or other substances that reduce bad bacteria populations and encourage the growth of beneficial strains; Fluoride, increased intake or topical applications of this known enamel-strengthening chemical; and Effective Diet, reducing the amount and frequency of sugary or acidic foods and replacing them with more dental-friendly choices. In effect, we employ a variety of techniques and materials that inhibit BAD factors and support SAFE ones. The foundation for prevention, though, remains the same as it was for past family generations—practice effective oral hygiene by brushing and flossing daily and regular dental cleanings and checkups to keep bacterial plaque from accumulating and growing. Your own diligent daily care rounds out this more effective way that could change your family history of tooth decay for you and future generations.